Kick off your visit on the 17th (Fri): take a stroll through Rue du Gros-Horloge, then steep yourself in history at Gros-Horloge, then make a trip to Vieux, and finally admire the striking features of Cathedrale Notre-Dame de Rouen. For where to stay and more tourist information, read Rouen holiday planning website . Brussels, Belgium to Rouen is an approximately 3.5-hour train ride. You can also drive; or do a combination of flight and train. In May in Rouen, expect temperatures between 20°C during the day and 8°C at night. 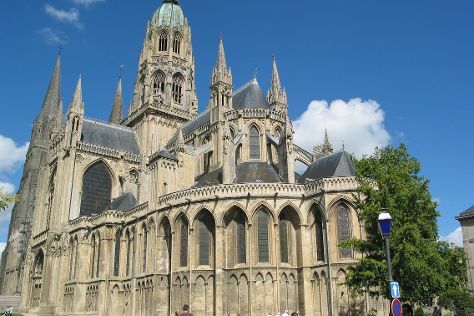 Finish your sightseeing early on the 17th (Fri) to allow enough time to drive to Bayeux. Eschew the tourist crowds and head to Airborne Museum and Omaha Beach. Go for a jaunt from Bayeux to Sainte-Marie-du-Mont to see Musee du Debarquement Utah Beach about 44 minutes away. 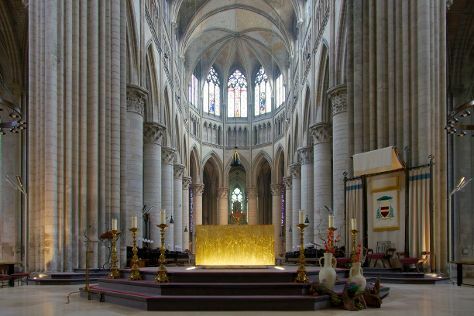 There's lots more to do: steep yourself in history at Pointe du Hoc, stroll the grounds of Bayeux War Cemetery, get engrossed in the history at Memorial de Caen, and admire the striking features of Cathedrale Notre-Dame. To see traveler tips, other places to visit, maps, and tourist information, refer to the Bayeux trip itinerary builder tool . You can drive from Rouen to Bayeux in 2 hours. Alternatively, you can take a train; or take a bus. In May, plan for daily highs up to 19°C, and evening lows to 9°C. Finish your sightseeing early on the 20th (Mon) to allow enough time to drive to Perros-Guirec. On the 21st (Tue), kick back and relax at Tregastel - la Greve Blanche, then visit a coastal fixture at Ploumanac'h LIghthouse, then appreciate the extensive heritage of Grand Site Naturel de Ploumanac'h, and finally stroll through Sentier des douaniers. On the 22nd (Wed), you'll have a packed day of sightseeing: look for all kinds of wild species at Reserve Naturelle des Sept Iles, then take an in-depth tour of Musee des Forteresses Volantes, then don't miss a visit to Le Phare du Paon, and finally steep yourself in history at Abbaye de Beauport. To find out how to plan a trip to Perros-Guirec, use our trip itinerary maker. You can drive from Bayeux to Perros-Guirec in 3.5 hours. Alternatively, you can do a combination of train and bus; or take a train. May in Perros-Guirec sees daily highs of 17°C and lows of 10°C at night. Cap off your sightseeing on the 22nd (Wed) early enough to go by car to Tours. 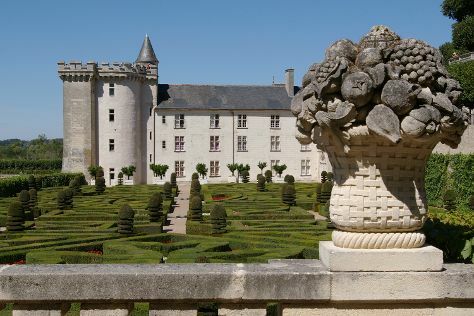 Start off your visit on the 23rd (Thu): tour the pleasant surroundings at Chateau de Villandry, contemplate the long history of Chateau de Langeais, and then explore the historical opulence of Chateau of Azay-le-Rideau. On the 24th (Fri), you'll have a packed day of sightseeing: steep yourself in history at Cathedrale Saint-Gatien, then explore the historical opulence of La Forteresse de Montbazon, then explore the historical opulence of Château de l'Islette, and finally don't miss a visit to Place Plumereau. To see more things to do, photos, traveler tips, and tourist information, you can read our Tours online tour planner . You can drive from Perros-Guirec to Tours in 4.5 hours. Alternatively, you can take a train; or take a bus. Traveling from Perros-Guirec in May, you will find days in Tours are somewhat warmer (22°C), and nights are about the same (11°C). Finish up your sightseeing early on the 24th (Fri) so you can catch the train to La Rochelle. Start off your visit on the 25th (Sat): make a trip to Towers of La Rochelle, then visit a coastal fixture at Phare des Baleines, then don't miss a visit to Port de Saint-Martin-de-Re, and finally explore the activities along Vieux Port. Keep things going the next day: contemplate in the serene atmosphere at Priorale Saint Pierre, don't miss a visit to Citadelle de Brouage, then examine the collection at Association Hermione-La Fayette, and finally get great views at Clocher Observatoire. For more things to do, photos, maps, and more tourist information, refer to the La Rochelle online travel route planner . You can take a train from Tours to La Rochelle in 2 hours. Alternatively, you can drive; or take a bus. In May, daytime highs in La Rochelle are 21°C, while nighttime lows are 12°C. Wrap up your sightseeing on the 26th (Sun) to allow time to drive to Sarlat-la-Caneda. You'll discover tucked-away gems like Chateau de Castelnaud and Chateau des Milandes. Change things up with these side-trips from Sarlat-la-Caneda: Moulin Fortifie de Cougnaguet (in Payrac) and Rocamadour (La Foret des Singes & Cite Religieuse). There's lots more to do: take in nature's colorful creations at Les Jardins de Marqueyssac, don't miss a visit to Vieux Sarlat, step into the grandiose world of Chateau de Beynac, and sample the fine beverages at Distillerie de la Trappe. To find where to stay, maps, traveler tips, and more tourist information, go to the Sarlat-la-Caneda driving holiday planner . Traveling by car from La Rochelle to Sarlat-la-Caneda takes 4 hours. Alternatively, you can take a train; or do a combination of bus and train. When traveling from La Rochelle in May, plan for a bit warmer days and about the same nights in Sarlat-la-Caneda: temperatures range from 25°C by day to 10°C at night. Finish your sightseeing early on the 29th (Wed) so you can travel to Nimes. Start off your visit on the 30th (Thu): take in nature's colorful creations at Jardins de la Fontaine, contemplate the long history of Eglise St-Trophime, then delve into the distant past at Amphitheatre (les Arenes), and finally identify plant and animal life at Le Parc Ornithologique de Pont de Gau. Get ready for a full day of sightseeing on the next day: savor the flavors at Food & Drink. For traveler tips, where to stay, ratings, and other tourist information, read Nimes tour itinerary planner . Do a combination of flight, tram, and train from Sarlat-la-Caneda to Nimes in 5 hours. Alternatively, you can drive; or take a train. Traveling from Sarlat-la-Caneda in May, expect a bit warmer with lows of 15°C in Nimes. Finish your sightseeing early on the 31st (Fri) to allow enough time to travel to Porto-Vecchio. Porto-Vecchio is a commune in the Corse-du-Sud department of France on the island of Corsica. 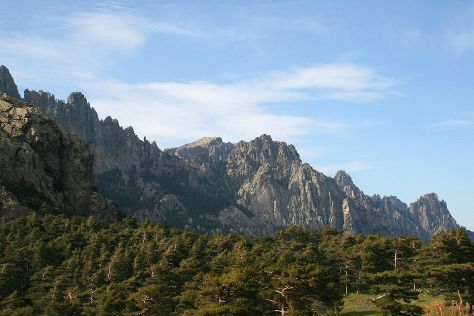 Step off the beaten path and head to Aiguilles de Bavella (Bavella Needles) and Scuba & Snorkeling. Get out of town with these interesting Porto-Vecchio side-trips: Bonifacio (Plage du Petit Sperone, Escalier du Roi d'Aragon (King Aragon Steps), & more). There's more to do: contemplate the long history of Bonifacio Citadel. For traveler tips, more things to do, ratings, and tourist information, read our Porto-Vecchio trip itinerary planner . Getting from Nimes to Porto-Vecchio by combination of train and flight takes about 5.5 hours. Other options: do a combination of train, flight, and bus; or do a combination of car and ferry. In June, plan for daily highs up to 32°C, and evening lows to 20°C. Wrap up your sightseeing on the 3rd (Mon) early enough to drive to Calvi. Calvi is a commune in the Haute-Corse department of France on the island of Corsica.It is the seat of the Canton of Calvi, which contains Calvi and one other commune, Lumio. 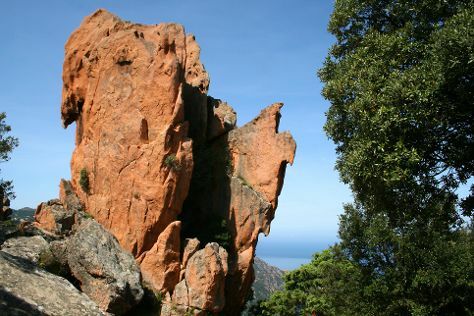 On the 4th (Tue), contemplate the long history of Citadelle de Calvi, kick back and relax at Punta Spano, then don't miss a visit to Phare de la Pietra, then take a tour by water with Boat Tours & Water Sports, and finally don't miss a visit to Chapelle de Notre Dame de la Serra. Keep things going the next day: make a trip to Les Calanche Cliffs, then identify plant and animal life at Nature Reserve of Scandola, and then head outdoors with Wild Machja. For reviews, more things to do, and tourist information, go to the Calvi itinerary maker app . Drive from Porto-Vecchio to Calvi in 3.5 hours. Alternatively, you can take a bus; or do a combination of bus and train. June in Calvi sees daily highs of 31°C and lows of 20°C at night. Finish your sightseeing early on the 5th (Wed) so you can travel back home.